Unclear why they don’t solve that PVC issue and even add other arrythmia detection, as algorithms exist since decades. Agree with Johan definitely. It’s quite uncertain why they can’t solve the PVC issue. 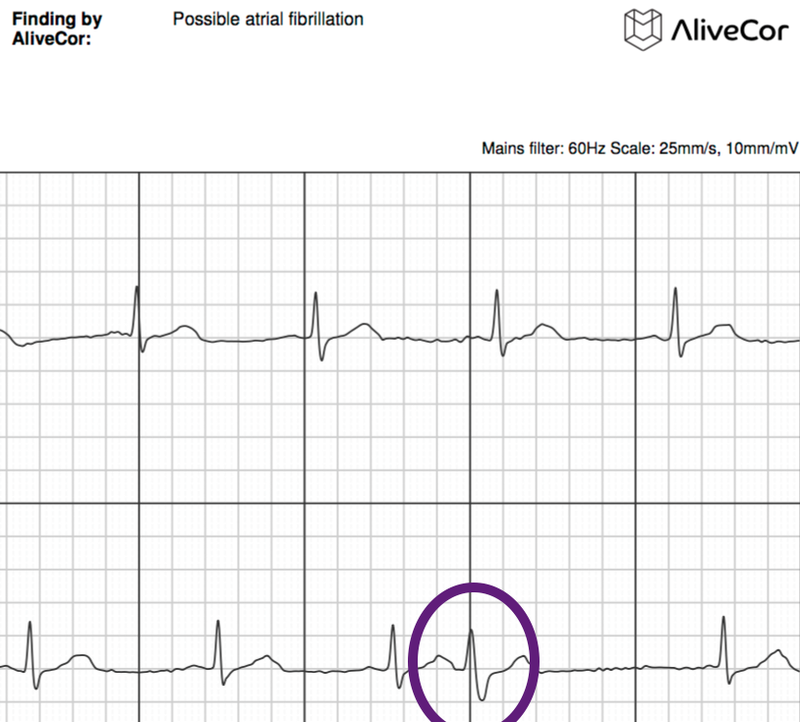 I have many PVCs PA C’s and short bursts of afib I understand everything you are saying about the alivecor even though I do love mine as well I would be very interested in being able to send you an occasional reading to look at for me even for a fee what would I have to do to be one of your patientsand get this service. Had about ten ectopics while recording but result was normal. Another time because my heart beat was fast its result ‘unclassified ‘ confusing as purpose of recording is to confirm and show these changes. I am a 63 year old obese male. 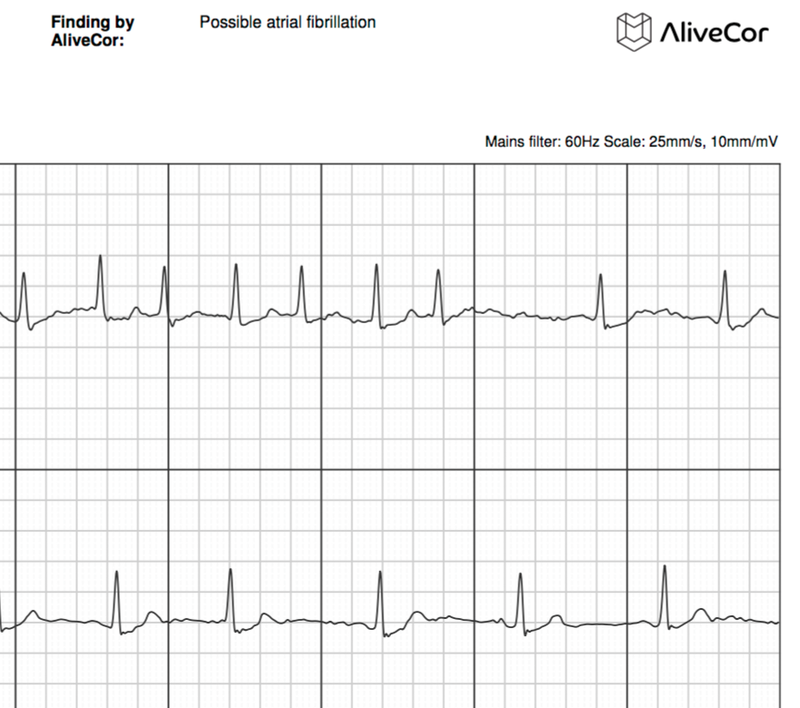 I was one of the original users of alivecor. I have experienced every one of the items you discussed about on multiple occasions. I live in Utah but would love to be able to send you recordings to review for me even if there is a fee. P.S. 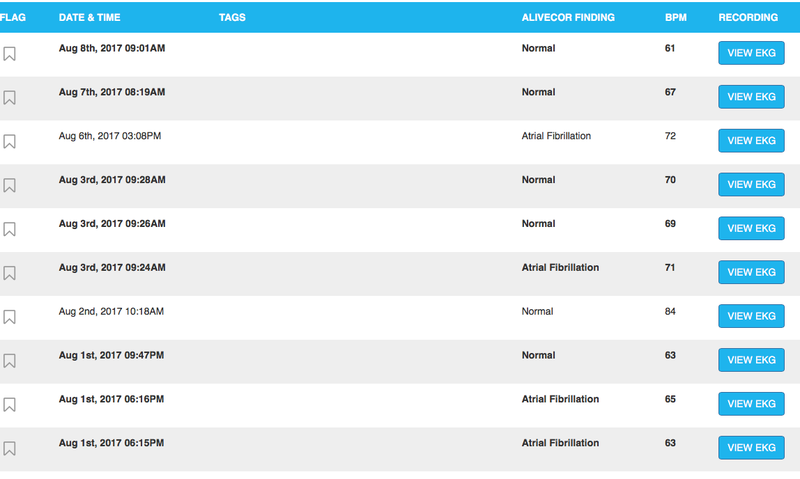 Even with the flaws I love my alivecor unit. It has made living with pvc, pacs, short runs of afib much easier. I have these for 30 years I can feel everyone, that’s why it is so hard to live with for me. I’m glad the device has helped you deal with your arrhythmias. I find it to be an indispensable tool for many of my patients. 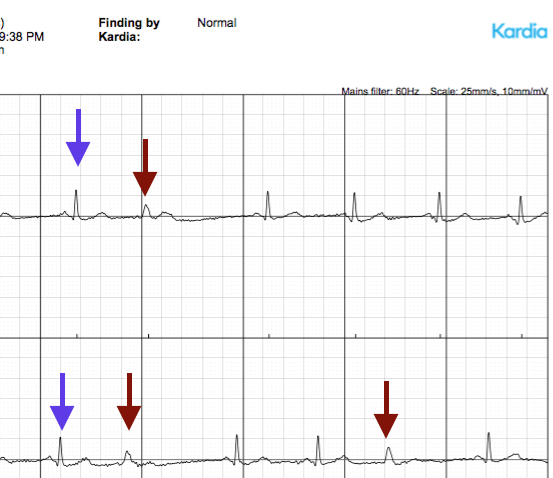 Kardia is going to classify sinus rhythm with premature beats (PVCS or PACs) as “normal” most of the time. 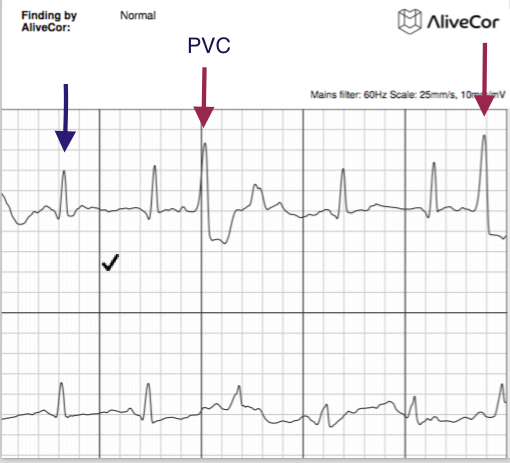 It does not identify the PVCS or PACS. Sometimes (rarely) it mistakes the premature beats for atrial fibrillation and sometimes it calls the recording “unclassified”. I am a user of Kardia. I don’t know who was reading these but I have a recent trace with 5 consecutive PVCs that was deemed no problem. 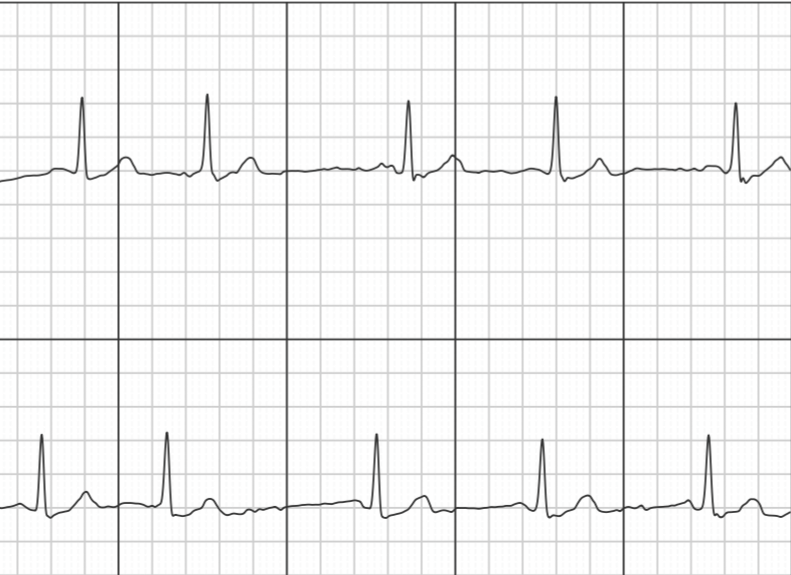 I happen to know something about electrocardiography and they are classic examples. This is an interesting toy but apparently it has difficulty even recognizing an aberrant sinus rhythm. It is not currently aimed at detecting PVCS. See my post today to see how effective it is in managing afib, however. That being said, the device records a good quality single lead ECG which if read by a physician can easily diagnose PVCs. A recent ski trip at high altitude resulted in an increase in BP, and the appearance of PACS for the first time. The first signal of PACS was a wiggly heart symbol, both on the old Omron and the new Bluetooth Qardia. Both new Apple Watch 4 and the Kardia band on the old AW3 indicated irregularities. The local cardiologist confirmed PACS on full ECG. These devices are working as intended as warning signals to seek further advice. Whilst the cardiologist was complacent about PACS some lifestyle changes seem to be helping, as I am mindful that PACS may be a harbinger of further problems.